Clear yellow color powder dispersed in mp soap base. This color will bleed or migrate in layered mp soap bases. One bar is six cubes. One cube colors approximately five pounds of mp soap (depending on desired shade). Not recommended for cold process soap. Propylene Glycol, Sorbitol, Glycerin, Sodium Laureth Sulfate, Sodium Stearate, Sodium Myristate, Sodium Cocoyl Isethionate, Water, Yellow 5, Propylene Glycol, Diazolidinyl Urea, Methylparaben, . 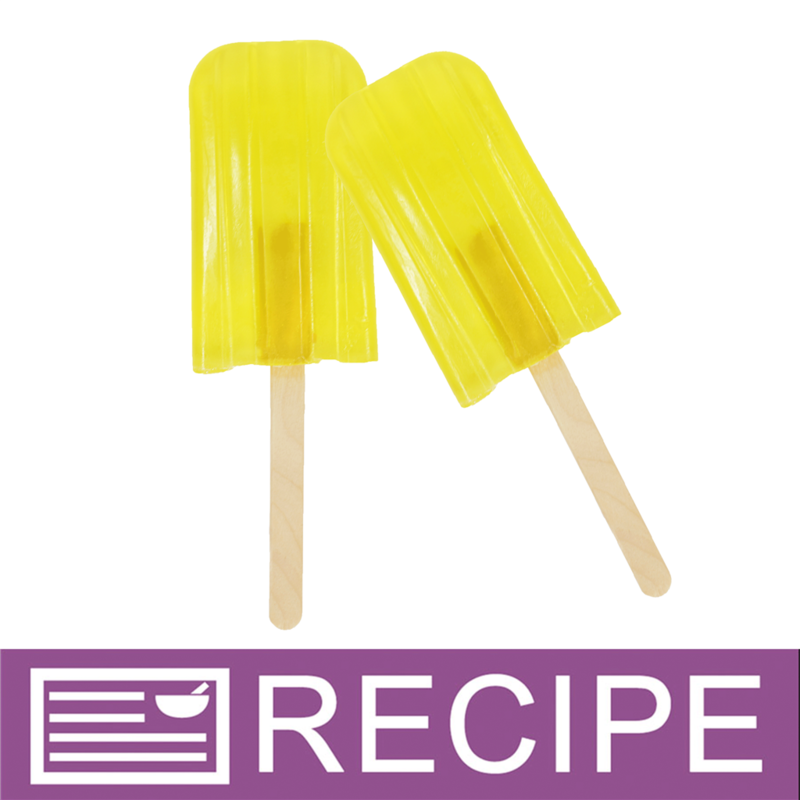 DIRECTIONS: Cut desired amount from the color bar and melt into warm soap base at 130-140º F. To color your product, start with small amount of color and increase as desired. Adding this color to white soap will produce a pastel colored bar. Adding this color to a clear base will produce a stained glass clear colored bar. TIPS: Using too much color may cause staining. 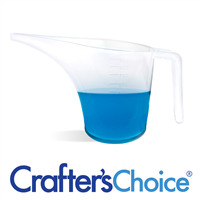 Test your final product to insure optimal performance and no staining. Protect work areas and clothing when mixing. CAUTION: Approved for melt and pour soap making only. Not approved for use with general cosmetics, eye and lip products. For external use only. Keep out of reach of children and pets. 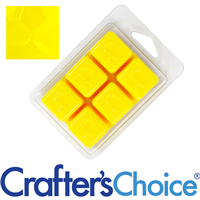 "Great for lemon poppyseed cake soap"
COMMENTS: I used this whole block in 2lb of the triple butter melt and pour base. It was a little less concentrated than I had expected (thus the 4 stars) but it did make a very lovely light yellow color that looks like yellow cake. COMMENTS: Good quality, great color. 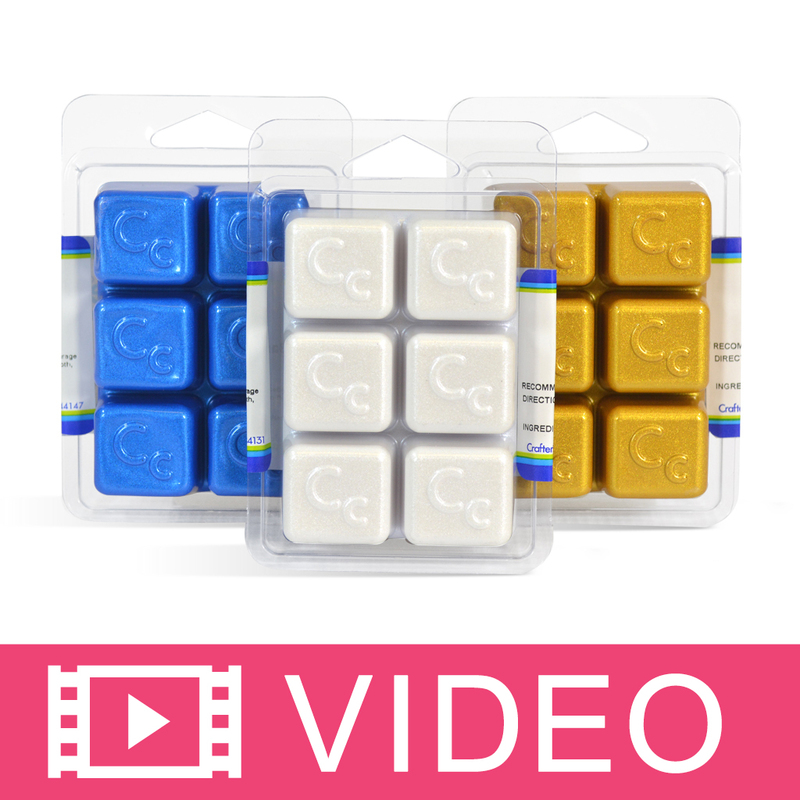 COMMENTS: Great to use to "paint or color" parts of soap. Very beautiful vibrant color. I just wish they didn't bleed. But it's still a nice color and works great if you do single color soaps. COMMENTS: Easy to use, and the color really pops. "Love this shade of yellow. Very true! " COMMENTS: I had never tried the Stained Glass colors and decided to purchase the sample pack...I will be getting big blocks next time. Love, love these! COMMENTS: I have tried quite a few different dyes/color blocks and the stained glass are by far my favorite! COMMENTS: This blends very well and melts quickly without a lot of fuss. I've used it with a couple of soaps. Use sparingly until you reach desired color. It creates a pure yellow color. COMMENTS: This looked really nice in clear MP. A nice sunny yellow. 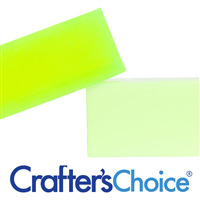 "Crafters Choice™ Stained Glass Lemon Yellow Soap C"
COMMENTS: Beautiful color for my Lemon cream soaps, Bright sunny tones. COMMENTS: This was my first time ever using this and was very surprised on how easy and successful it was!! COMMENTS: Nice color in clear M&P. 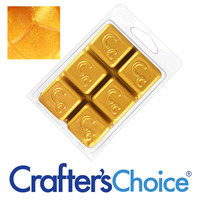 Make sure to add it to your base during the melting process otherwise it doesn't always fully melt and leaves specs. COMMENTS: Used in melt and pour soaps with no issues. True to color. COMMENTS: Easy to use, easy to blend. Love these color bars. COMMENTS: Color is true to the stained glass description. Worked great in my raspberry lemonade MP soap. COMMENTS: Love this product. Colors come out great! "Stained Glass Lemon Yellow Soap Color Bar"
COMMENTS: Another lovely vibrant color bar I use all of the time. As with all of the bars, a very little goes a very long way. Our daughter accidently cut a bit larger piece off and melted it, we only wanted to make 10 bars and it ended up coloring 40 bars. All of the color bars are wonderful. Great to work with. 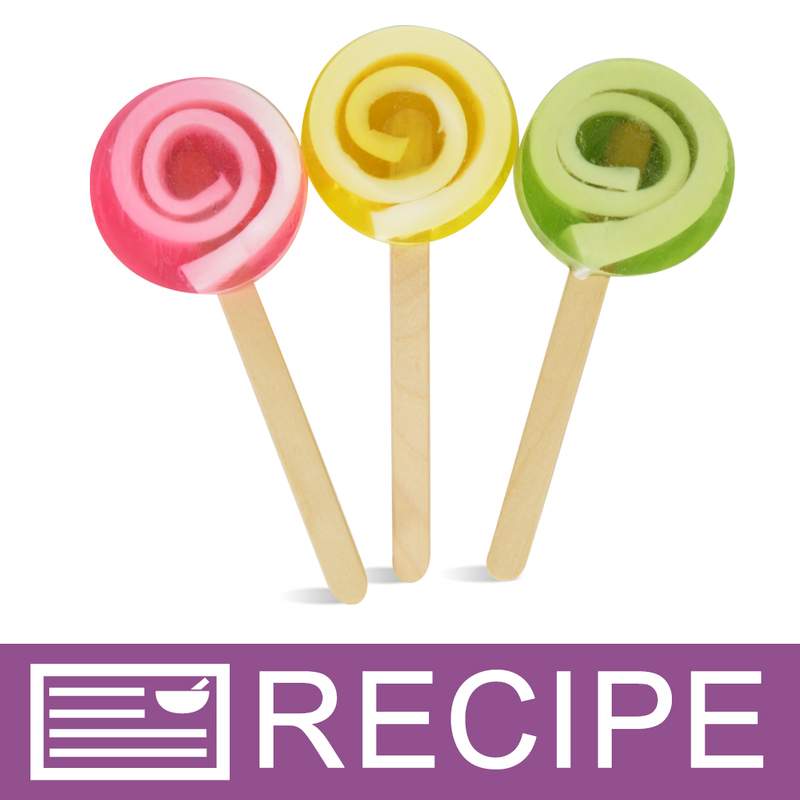 Easy melting and blending. • Vibrant and easy melting. 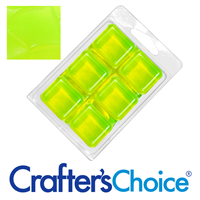 COMMENTS: I used this color for my lemon scented soap and it looks great!! COMMENTS: I got this as part of the sample pack. I like the stained glass colors best out of all the color bars. They do seem to melt more quickly and smoothly in the clear bases than the white ones. COMMENTS: Used this in my white soap for a pastel look. Will be great for my easter eggs. 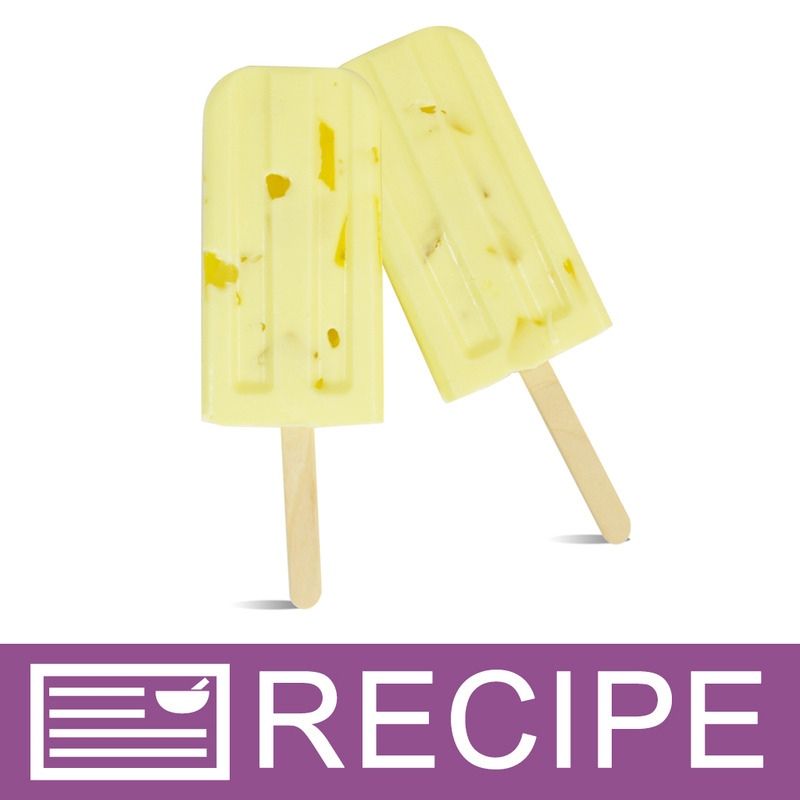 COMMENTS: I used this color bar for Lemon Verbena Kitchen Soap I made. It performed very well and only a little was needed to create the beautiful end product. Excellent product. COMMENTS: It is a very pretty color yellow once in its product. I do wish that the yellow was a bit darker, as when I want a deep yellow, it is hard to get, but otherwise a great color. COMMENTS: Great works awesome. True yellow. 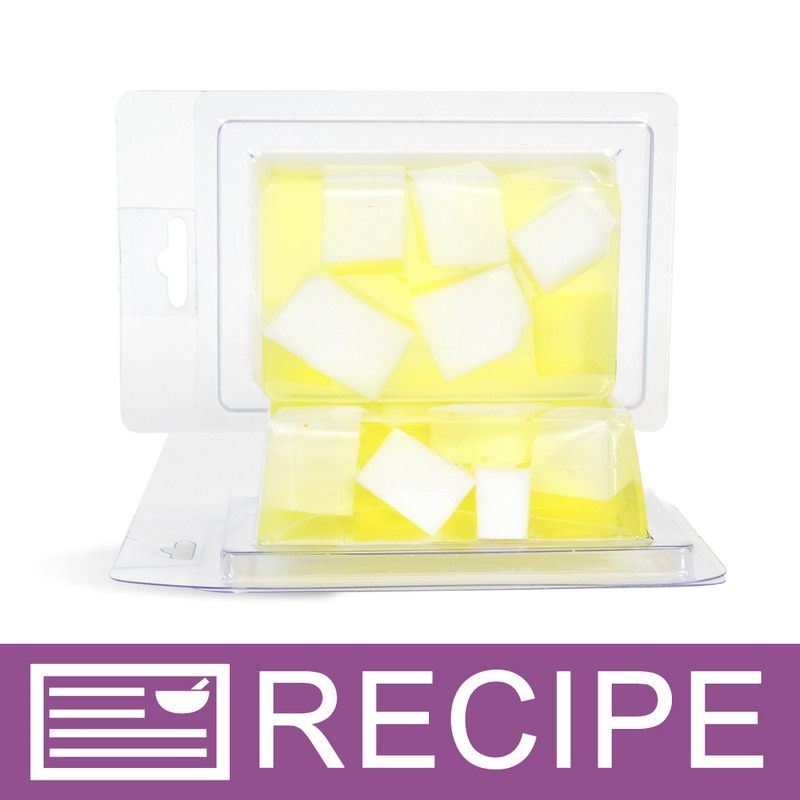 COMMENTS: Creates a nice lemon yellow color in MP soap. COMMENTS: Love the color- a little goes a long way! COMMENTS: I did enjoy this colorant however, it was not as strong as I would like it to be. Works well to create a nice pastel yellow in opaque soap base. COMMENTS: Colors my soaps very well and color stays true! "beautiful color, love that it doesnt thin base"
COMMENTS: Made with clear M&P and chopped up into chunks. Then used as embeds with white M&P in a loaf mold. People wanted to eat it like pineapple upside down cake. Scented with Lemon Verbena. Very fresh and pretty for summer. COMMENTS: perfect color match. easy to use. would buy again. COMMENTS: I love this and have used a lot of it in my soaps. Whether using it by itself or mixing it, this is a great color and I know I'm going to go through a lot of it. It's a true bright lemon yellow. COMMENTS: I like how a tiny piece can go a LONG way. You get your money's worth when you bar the bars. COMMENTS: Used this for a beautiful clear yellow in clear M & P.
COMMENTS: I rarely make soap yellow by itself, but often alter or wish to create oranges, greens, and occasionally browns. This color does not disappoint in any way. "Yellow is my Favorite Color"
COMMENTS: I use all my yellow color bars first no matter how many I buy. I use these all the time to mix and create colors. I have never had a problem with migration in melt and pour soap. COMMENTS: I like the stained glass color bars because they don't speckle as do most of the neon bars. 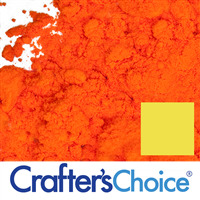 This color is great for citrus scents! "How do you use stained glass color in CP soap? " Staff Answer You cannot use color bars in CP soap. These are made from MP soap and can only be used with that soap. You can use the dye powders in CP soap. This would be blended into your soap as you would any other color but be sure to check the pH changes for each color, as these can morph in high pH.